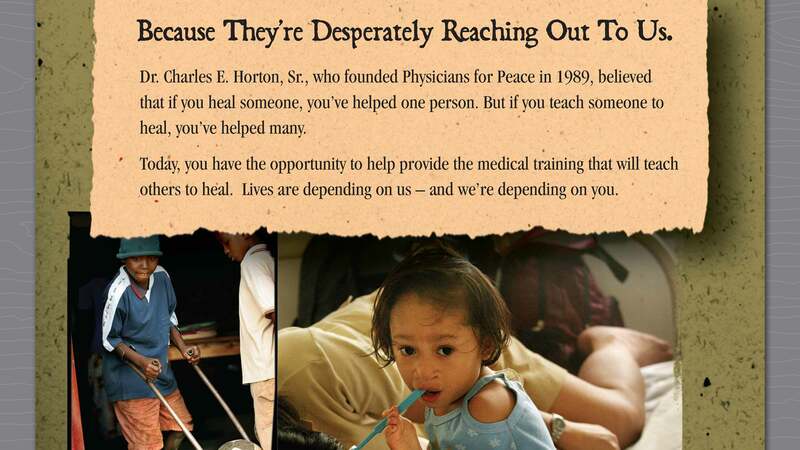 Physicians for Peace is an organization that trains, supports and collaborates with healthcare professionals providing much needed healthcare to the world’s underdeveloped countries and their residents. 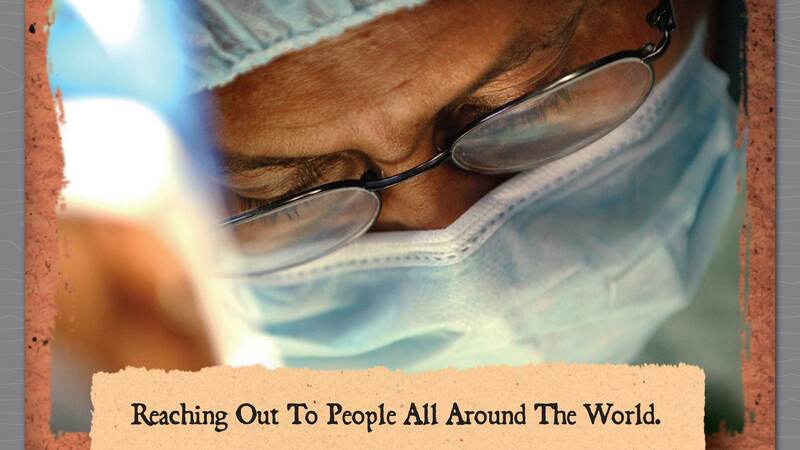 The organization sends physicians to underdeveloped countries to help train local doctors and to provide free medical procedures to the impoverished. 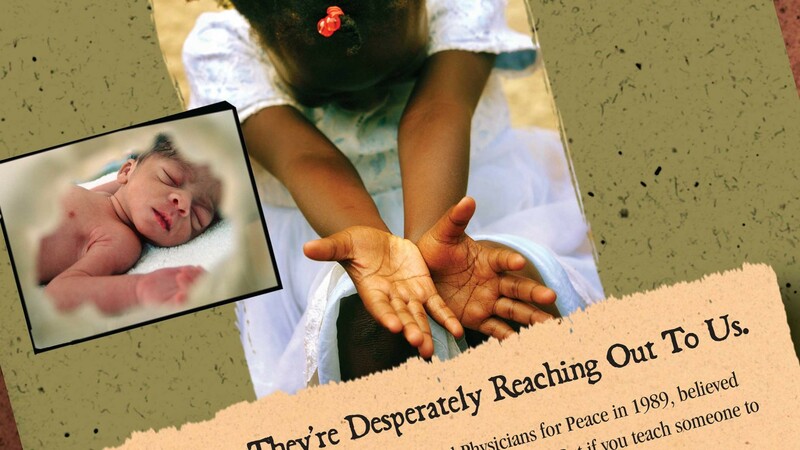 The main objective of this direct mail campaign was to create a striking direct mailer piece that immediately educated the audience on the global need for these provided healthcare services, make an emotional connection with that audience, and then directly ask for donations to help support Physicians for Peace and their mission and global vision. Through this need, the concept of “Reaching Out” was quickly created and established as the creative direction and strategy of the campaign, as it directly applied to the needs of the patients, the needs of the participating physicians and to the needs of Physicians for Peace as an organization. 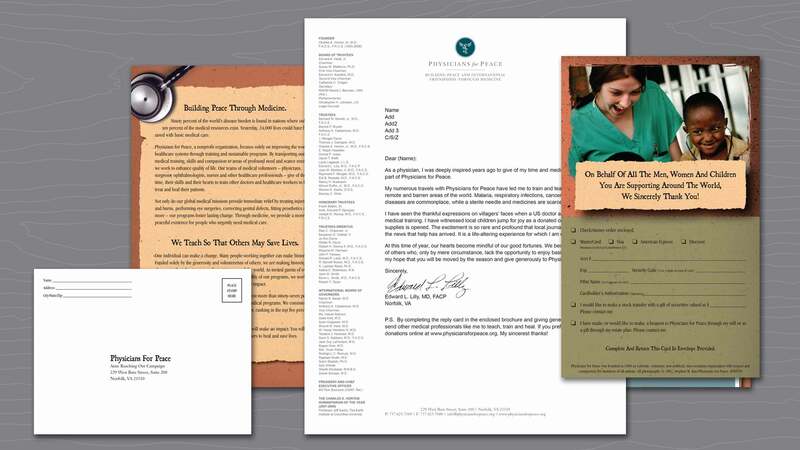 This 8-panel direct mail piece was designed to deliver a strong emotional message and conclude with a strong ask for fundraising donations to support the organization’s cause. 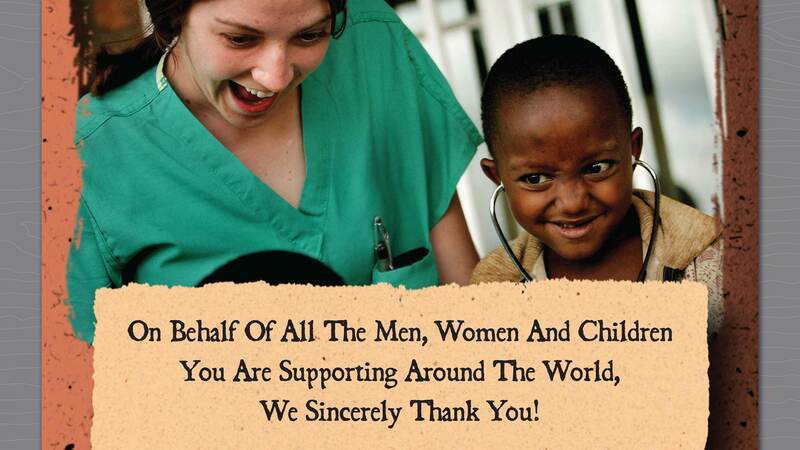 Various textures were created to reflect the rough conditions, actual in-the-field supplied photography provided visual authenticity, and the interior spread contained several items for traveling overseas to perform medical procedures, so the audience could envision the full experience of the organization, its participating doctors and its appreciative patients. The 8-panel mailer was sent in an outer envelope and contained a personal ask letter, a tear-off reply card and a reply envelope. 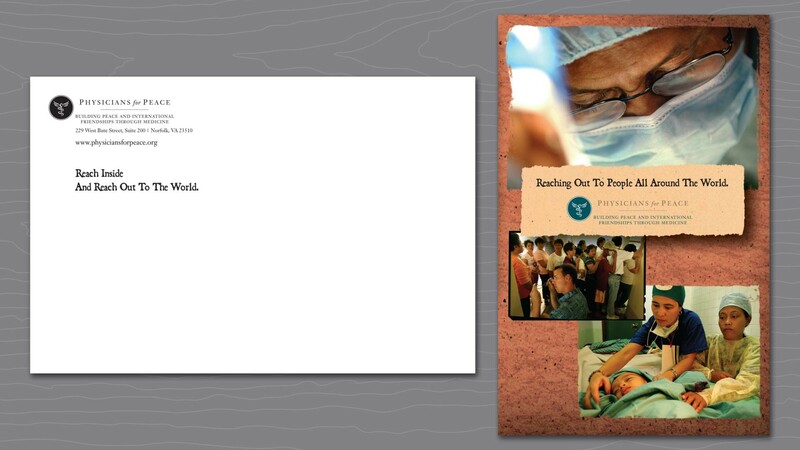 Full views above of the outer envelope, front cover and interior first flap created for the Reaching Out direct mail campaign. Full views of the interior second flap, personal ask letter, tear off reply card and reply envelope created for this direct mail piece. 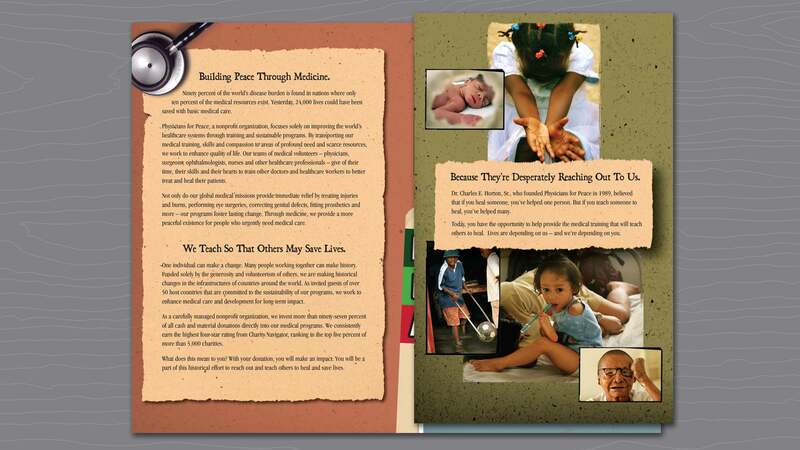 Full views of the interior spread created for the Reaching Out mailer. 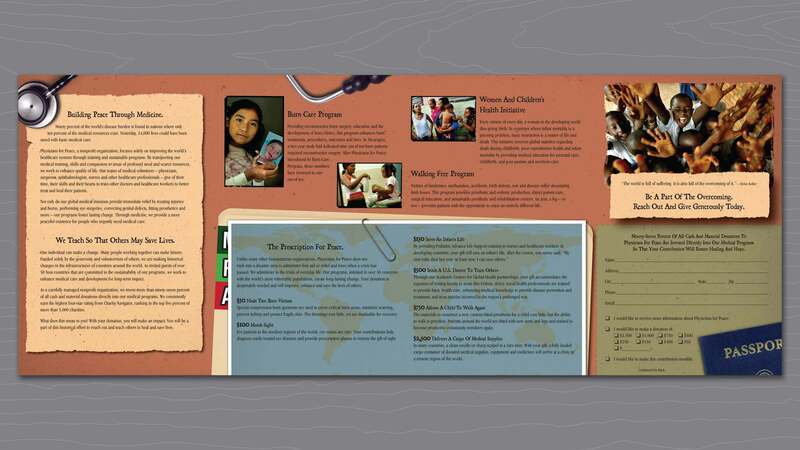 Detail views above of the front cover, interior first flap, interior second flap and interior spread of this 8-panel mailer piece.